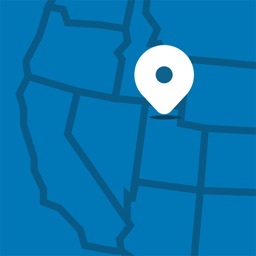 Area Code Info by Diamond Star Technologies, Inc.
by Diamond Star Technologies, Inc. 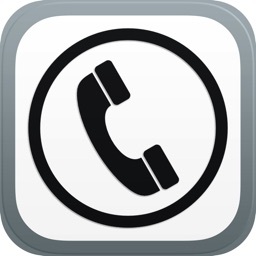 This app allows you to quickly do a lookup on unknown area codes. 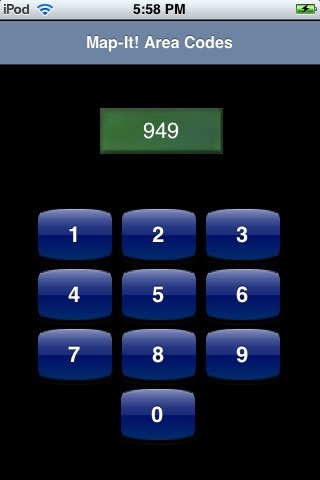 Tap in the 3 digit code to get the area code description. 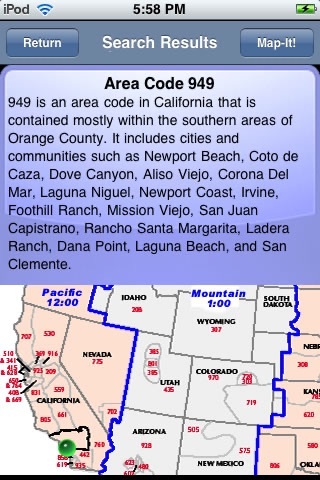 Plus, get a map that shows you where the area code is located. The map shows the time zone borders, so you can quickly see which time zone the area codes fall into. This lets you figure out the best time to call. 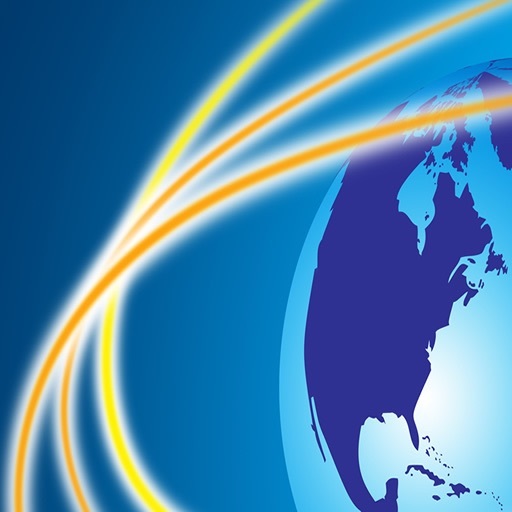 You do not need to connect to the web to use the app, which makes the response time even faster. Why pay for an area code app that only gives you the description, when you can also see it on a map with this app? For example, some people may not know what part of the state an area code description such as Doniphan, Missouri is located, unless they can visualize it on a map. 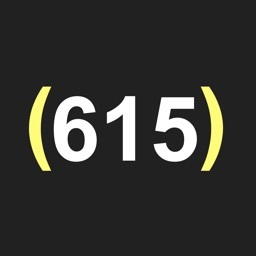 Area code descriptions are for the US, Canada, Caribbean and US Territories. 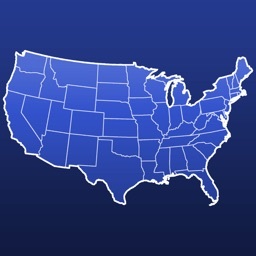 Maps cover the region that represents the continental United States, plus Hawaii and Alaska. For any place in Canada that borders the United States, map related info may also be included.